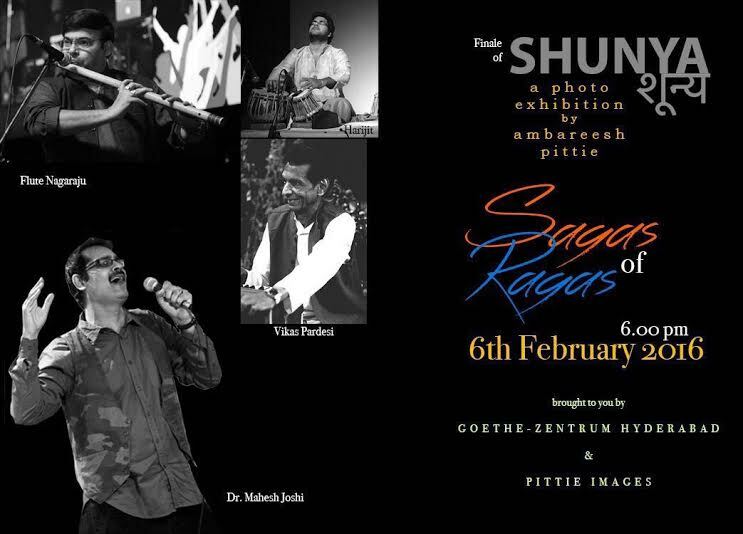 Goethe-Zentrum Hyderabad is pleased to present, in collaboration with Pittie Images, an evening of enchanting music SAGAS OF RAGAS as finale of the photography exhibition SHUNYA by Ambareesh Pittie. Dr. Mahesh Joshi, will give a special performance of songs on the concept of SHUNYA based on 5 ragas. The performance will be accompanied by explanations on the significance of and the moods that these ragas create. 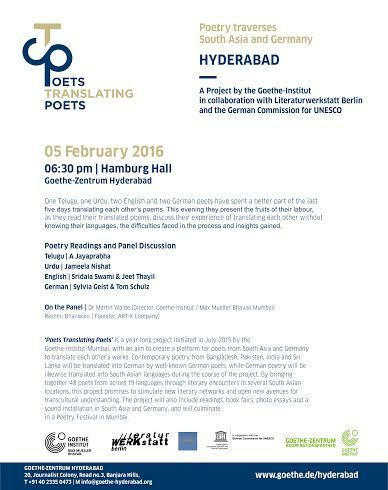 Goethe-Zentrum Hyderabad is pleased to announce Poets Translating Poets: POETRY READING & PANEL DISCUSSIONS in Hyderabad on 5 February 2016. A Project by the Goethe Zentrum Hyderabad in collaboration with Hyderabad Literary Fest and Literaturwerkstatt Berlin and in cooperation with the German Commission for UNESCO. We look forward to sharing this magical evening of music surrounded by an exhibition of an exquisite collection of photographs on stage arts that has been 30 years in the making. All are welcome to attend.